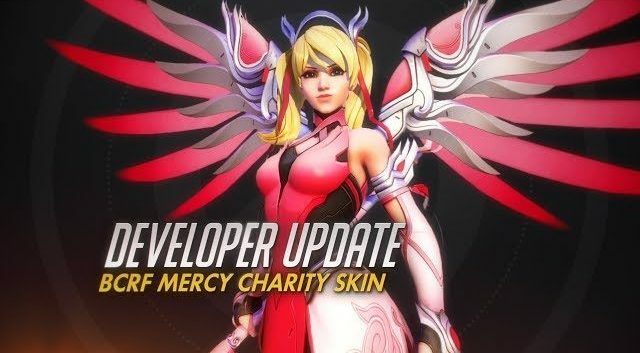 This week, Overwatch raises more than $12.7 million for breast cancer research, Steam game player counts are leaked, and Nintendo begins its roll out of hack-resistant Switch hardware. Blizzard recently released a pink costume for the Overwatch healer character, Mercy. They charged $15 for the skin and ended up raising 12.7 million dollars to the Breast Cancer Research Foundation. The skin was available for only two weeks in early May, a testament to how massive and engaged the Overwatch player base is. CNET and ShackNews mention that physical sales of a $30 pink Mercy t-shirt likely helped boost the end total raised. ArsTechnica reported that “a hole in Valve’s API” allowed people to generate “extremely precise and publicly accessible data” for the player base numbers of thousands of Steam games. This exploit however, could only account for games with Steam achievements that have actually been played by their users (so games that are bought and never played aren’t included). Many of the heavy-hitters are unsurprising with games like Counter Strike: Global Offensive, Playerunknown’s Battlegrounds, Left 4 Dead 2 and Roblox making appearances at the top, but some might be surprised that Team Fortress 2 still has the biggest player base more than a decade after its release. It’s also worth noting that some of the industry’s most popular games are not hosted on the Steam platform, such as Fortnite, Overwatch, League of Legends, Hearthstone, and more. Polygon provided a complete timeline about users’ various efforts to obtain sales data, and links to the original Medium post of the individual who was responsible for exploiting this loophole in Steam’s API, breaking down his methodology. Notorious Nintendo Switch hacker SciresM tweeted that some new Switches on retail shelves may be invulnerable to the “Fusée Gelée” exploit. This patch-resistant, permanent boot exploit made headlines earlier this year for granting users the ability to run homebrew code, pirated software, and custom firmware. ArsTechnica breaks down the new Switches’ firmware update and the new hardware security measures taken by Nintendo. These new hardware measures obviously can’t be taken with the Switches already out in circulation, so older models will still be vulnerable to the exploit. Tech Times reported on some of the features hackers have been adding to the Switch that Nintendo has yet to provide, such as cloud saving, custom profile pictures, and more.